Labor day. What to do? A hike? Something short and sweet. One that didn't involve hours of driving to boot. I settled on Beehive Basin up near Big Sky. 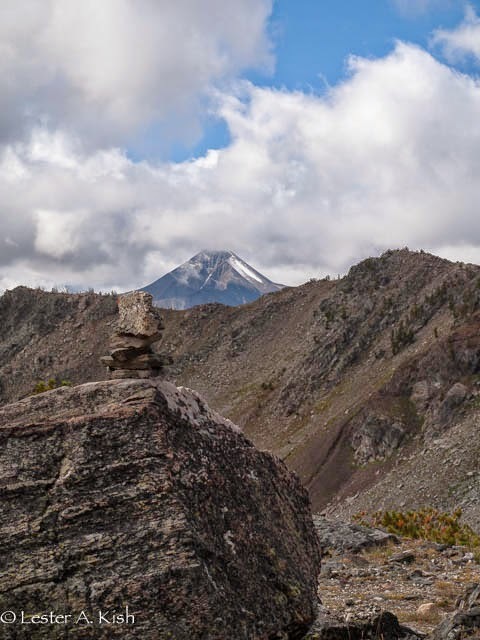 I've been all over the Spanish Peaks in the last forty years. But, I've avoided the Big Sky side of the "peaks." Why? Hell, there's gobs of people. But, today I made an exception. It's an easy hike. A couple of miles each way. You won't want for company. It was deliciously cool when I arrived at the trailhead. Forty-two degrees. The clouds were just starting to lift. I started hiking at nine. Late for me, but with such nice conditions, and for a shortie hike, it was early enough. Most of the many hiking folk would arrive later. 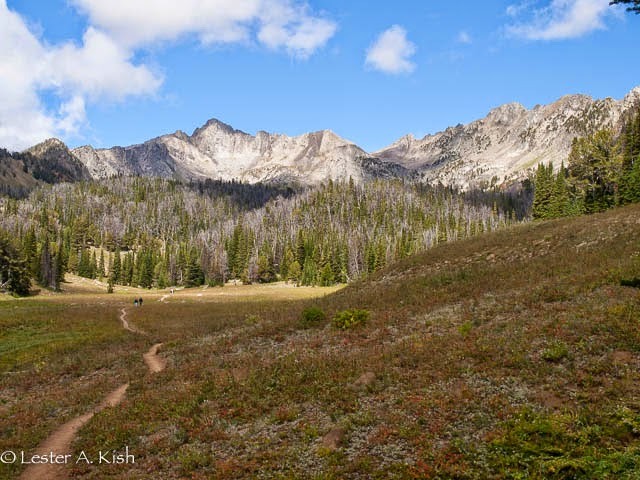 The trail, nice and wide, winds through open timber and meadow. This late in the season, most of the flowers had withered. But, I can see this as a nice wildflower hike earlier in the summer. It is a pretty basin. Open. Easy to get around. I hiked past the lake, which to me is a "pothole." Several hundred feet above, I stopped, snacked, and took a few photos. 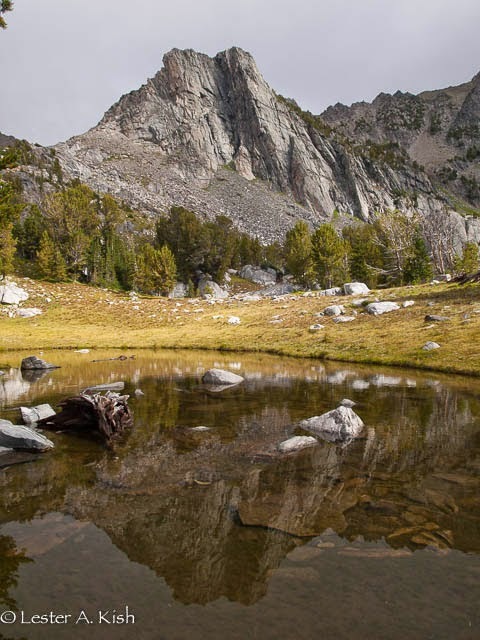 For the record, the "real" Beehive Lake is situated on the Spanish Creek side of the Peaks. It's at higher elevation and sits above the Spanish Lakes. It takes a little more effort to get there. By noon, the day had warmed nicely. I passed a procession of hikers on my way out. Given the nice trail, a guy on a mountain bike, dragging a freezer, could make a living selling ice cream to the masses. Hmmm. 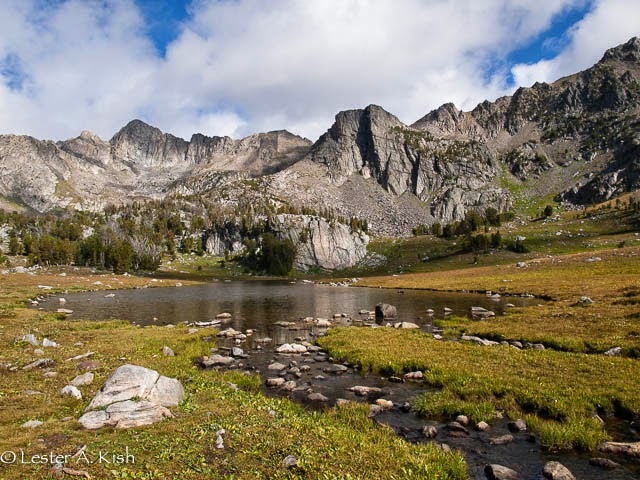 The Beehive Basin hike is billed as one of the ten greatest hikes in the world. I'm not making this up. You can google it. But then, why stop there. Go for the whole enchilada. How about the entire universe? Like they've got scenery like this on Mars. We've had a few cool spells, some snow up high already too. This week looks to be stunning. Temps pushing seventy. Bright clear days. Humidity? I didn't bother to fish. Mars may or may not have beautiful scenery like this anymore, but surely it doesn't have clowns dragging around ice-cream for the tourists. Wow. No ice cream? Future space travelers will be disappointed. Very cool Les..the pics are awesome..what a lucky guy you are to have that in your "backyard"...I've always said that if I couldn't live on the shoreline of an ocean, I'd want to live in the mountains..you are taking me there my man! Thanks Mike. It's a big "backyard", sometimes easy to take for granted. Glad to have you along for the ride. Although, northern Maine isn't anything to sneeze at either.